We hope you are in good spirits within whatever situation you are experiencing. 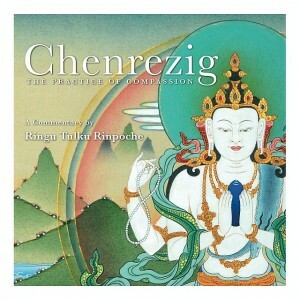 Today, we bring you a first in a series of talks by Ringu Tulku given this summer. “One of the most important preparations for death is to learn how to live. Learning how to live in a good way. Everybody has to die, and we don’t know when we are going to die. When we say we don’t know when we are going to die, it doesn’t mean that we have lots of time. It could be any time, it could be tonight, tomorrow, next month, next year or many years. It’s not necessarily that we have lots of time, even if we are not sick or anything like that. So, therefore, we have to be prepared. So how to prepare? I think the most important thing is that to live and accept and understand that we can die at any time. And sometimes this practice, this understanding, deeply understanding and accepting the impermanence and uncertainty, people sometimes think it’s not a nice thing because many people actually think that death is a punishment, something very bad. If you wish to receive emails of our postings please sign up on the blog. Thank you very much.